1) Claim: Laser is the gold standard for treating tongue tie. Fact: No studies exist comparing method and outcome to make this claim. We do know that frenulotomy has been performed very successfully with scissors for decades and the research supporting practice is using them, not a laser. As Dr Ghaheri outlines here, an awful lot comes down to the practitioner rather than the tool used. If insufficient frenulum is removed it doesn't really matter what implement they did it with. Next we'd have to ask, which laser is the gold standard? 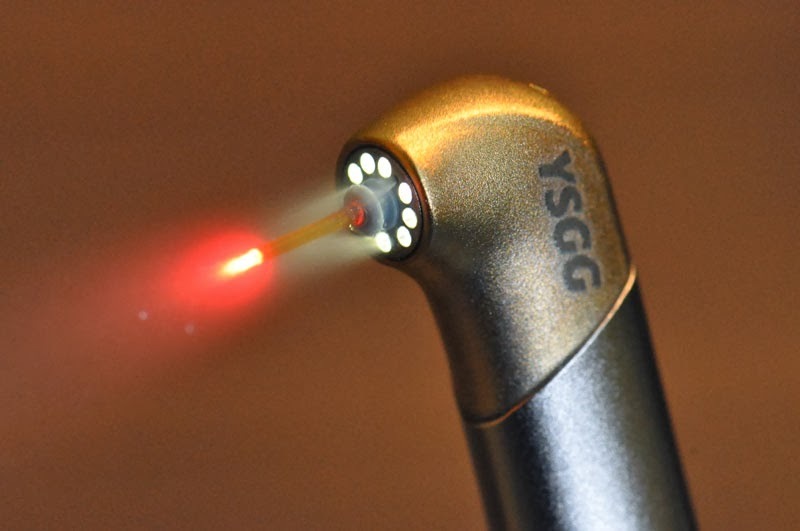 Dentists can use a Nd:YAG, diode or waterlase - the first cauterizing the area with heat, sometimes requiring baby's eyes are covered for safety. Others like the waterlaser vapourise tissue whilst staying cold We need to explore experience and outcomes for all the different options. What areas are we considering make up the gold standard? Duration? Pain scores? Outcome? Frenulotomy with laser is significantly slower than with scissors, which only takes several seconds. Pain scores as a result may be higher and for a longer duration, resulting in many laser providers advocating the use of anaesthetic. NICE guidelines state up to 18% of babies slept through revision with scissors, with the NHS adding "some babies sleep through it, whilst others cry for a few seconds" (using blunt ended scissors). In my experience some give a quick shout, others cry more - I've witnessed the same with laser. Similarly some babies appear to experience discomfort when using the tongue for a couple of days post procedure with either method. We need research specific to babies rather than older children. For older babies the separation from parents and restraint could be as upsetting as the procedure itself. It's definitely a case of looking at the big picture and what is right for each family. 2) Claim: Babies don't bleed if laser is used. Fact: I've witnessed many revisions with both waterlase and scissors, and have experienced babies who are slightly slower to clot using both. Either way it's typically a negligible amount. "You may notice some dark streaks of blood in your baby’s diaper in the 24hrs after the procedure. This is from the small amount of blood that your baby may swallow during the procedure, and it is not a cause for concern. If a laser or electrocautery tool was used for the procedure, you may notice small burns on your child’s lips or tongue (small white areas). Although every effort is make to ensure that this does not happen, the potential for these small burns is unavoidable since babies don’t understand the need to stay still during the procedure. 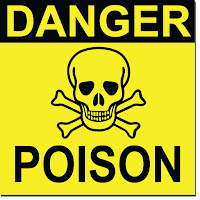 These burns heal quickly and don’t cause any lasting damage." Secondary bleeding can follow hours after revision if the wound site is disturbed. This is typically a very small amount in a baby that clots typically, however I have experienced two cases of heavier blood loss - one following scissors and one following waterlase. Neither were medically significant volumes and stopped when appropriate pressure was applied. 3) Claim: Ties are less likely to scar or reattach if treated with laser - often with the adage they "obliterate tissue". Fact: There are no studies that compare outcome when treating babies. Purely anecdotally from extensive experience of both, I couldn't with any accuracy guess which had a lower rate of reattachment. However we only have to look at the aftercare recommended post laser to realise that they're not claiming it prevents reattachment. Instead an extensive "aftercare" regimen of stretching and rubbing the wound numerous times per day for weeks is prescribed - Note this video originally had sound, the baby crying continuously proved distressing for many and then the sound was removed. Whilst they may offer numbing during the procedure, the distress associated with rubbing a wound site isn't acknowledged. I'd also like to see studies exploring pain scores moving the tongue post laser and scissors - speaking to adults, interestingly those treated with laser reported significantly higher levels of pain post procedure, with one commenting "it felt like a burn" - which of course is exactly what it is. Pain post-procedure is important as tongue mobility itself post-procedure reduces risks of reattachment. If the laser causes less inflammation compared to scissors at the time of treatment (as some claim) - we need to reassess post "wound massage" to compare inflammation scores again. Fact: The scissors and gauze used are also sterile. The risk of infection from a pair of sterile, single use disposable scissors is so low most practitioners have never witnessed an infection. I believe Southampton estimate a rate of 1 in 10,000. It can be easy to think that something new and expensive is automatically better than something free and offered by the NHS. I also don't want this to sound like an "anti laser" post as that's not the case. However so many unsubstantiated and non-evidence based claims are made around the release of ties generally, it's an important area to discuss. Practitioner skill and feeding support - both in terms of technical help and peer support are as significant as the method used. 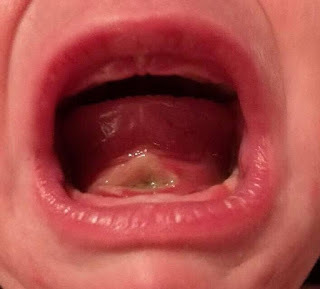 I find it strange anyone would release ties for feeding purposes, without assessment from someone suitably trained to confirm the frenulum is the root cause and also working with parents post procedure to help resolve said feeding problems! I see a worrying number of people (treated both by the NHS and otherwise) who had a treatment that consisted of a five minute consult, treatment and out the door within minutes. For some mums this may be all they need, for others it's just the start of a journey. For every person thrilled with scissors, there is another who had success with laser and vice versa; until we have unbiased, independent controlled studies - it's really all a matter of opinion. If you're offered local NHS treatment, don't necessarily rule it out - speak to people involved with all options, establish whether the focus is simply treating the tie or helping resolve a feeding problem. Couldn't agree more - in our n=2 experience, operator skill matters most. And re #5, the mouth isn't sterile anyway so sterility isn't a big issue, is it? Importantly, oral infections are rare following trauma because we've evolved that way. THANK YOU for this!!! Agree 100%. Fabulous! 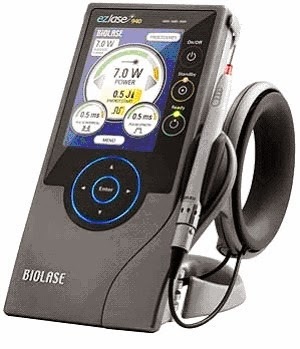 Tendonitis can also be cured using Low Level Laser Therapy. LLLT does not exert any physical force on the affected tendon.It stimulates blood flow and lymphatic drainage, improved delivery of O2 and nutrition to the area, oxygen utilisation, removal of oxygen-free radicals and other waste products, and tissue healing. 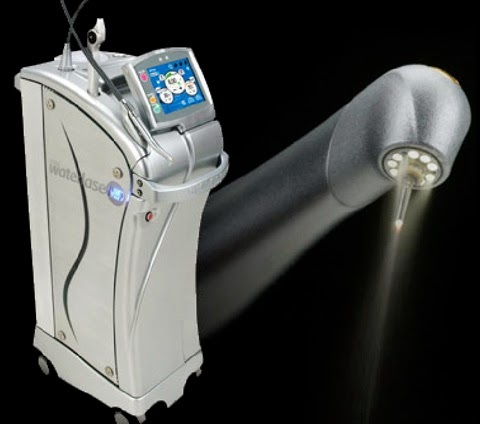 To know more on how laser therapy works To know more visit http://www.laserpaintherapy.com.au/tendonitis.